Leaven, a type of sin, was removed from the dwellings. Then at twilight, as the 14th day of Nisan was ending, the Passover lambs were slain. Sunset initiated the first day of the Feast of Unleavened Bread. Nisan 15 was a "high day", a non Saturday Sabbath. Bread baked without yeast was eaten during the seven days of the feast. ESTABLISHED BY YHVH-GOD AT SINAI. There are two scripture passages in which the Feast of Unleavened Bread is described. They can be found in Exodus 12 and in Leviticus 23. 5 On the fourteenth day of the first month at twilight is the LORD’s Passover. seven days you must eat unleavened bread. you shall do no customary work on it. 8 But you shall offer an offering made by fire to the LORD for seven days. you shall do no customary work on it.'" The Holy Scriptures stipulate the duration of the Feast of Unleavened Bread. It is to last seven days. THESE "HOLY DAYS" ARE NON-SATURDAY SABBATHS. The first day of the Feast of Unleavened Bread, (decreed in Leviticus 23 as Nisan 15), is a "high" day, a "holy convocation" or a "holy day", from which we get our word "holiday". This first day of Unleavened Bread is a "Sabbath". And so also is the seventh day of the Feast of Unleavened Bread, (which is the 21st of Nisan). A Sabbath, whether it be a high holy consecrated Sabbath or the regular weekly (Saturday) Sabbath is a day in which no customary servile work was to be done. The Sabbath is to be a day consecrated to God. It is a time set aside for fellowship with Him. In the case of the high holy Sabbath days it is a time to gather with others to celebrate who Yehovah-God is, to remember what He has already done in times past on that particular Hebrew calendar day, and then to consider prophetically the things the Holy One of Israel has said that He He will do in times to come on that same Hebrew calendar day. The Light of Israel is shining among the heathen and out to the ends of the earth. And the God of Israel, as always, is up front with those who truly seek Him. And He is easy to deal with. His yoke is easy and His burden light. His words are "yea, yes", and "Amen, "so be it!" 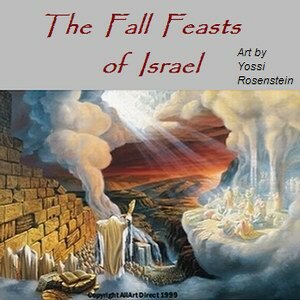 So the Seven Feasts of Israel are seven waypoints on a spiritual map, not only to things past, as we see in the Spring Feasts, but also things future, as we see in the Fall Feasts. 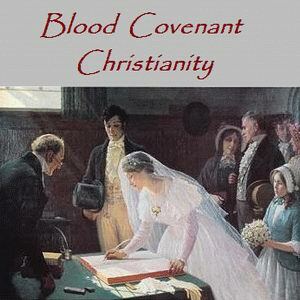 These are special days when Old Covenant and New Covenant issues come into harmony. They are also a road map and a chart for Pilgrims on their way home. The Feasts of the Lord are seven waypoints in YHVH-God's cosmic agenda for the redemption, the Holy Spirit equipping, and the eventual perfection and glorification of all His covenant people at the climax of the age. His "ekklesia", His called our Congregation, are to become a single redeemed reunited undivided restored Elect. Dear saints, the Sabbath is a gift from God. He personally set forth all the Sabbaths for our good. The first day of Unleavened Bread is the night following the twilight and the sunset of Passover and the following day until sunset. This Sabbath day or "high" day, the night and day after the Passover lambs are killed is day #1 of the Feast of Unleavened Bread. Being a Sabbath it is a time set aside for sacred assembly, a holy convocation or a high holy day, a rest day devoted to the Holy One of Israel. The seventh day and the last day of the week long feast is also a Sabbath. Below is a calendar of the spring feasts as they occurred during the passion year. The calendar is based upon these well established Biblical facts. 1. Passover as we see from Leviticus 23 above, always comes on the 14th day of Nisan. 2. The resurrection of Messiah in passion week came on the the first day of the week, a Sunday. See these Scripture passages. 4. Jesus/Yeshua was three days and three nights in the grave. 6. If Nisan 14 was the Resurrection Day, Then we count out Nisan 15, Nisan 16, and Nisan 17 as days, 1,2,and 3 in the grave, Sunset of Nisan 17 beginning on Nisan 18 would be the time of the Resurrection and began the Resurrection Sunday which was on the Feast of Firstfruits a Sunday. 7. If Nisan 18 was the Resurrection Day, the Feast of Firstfruits, and a Sunday then going back through those three days from sunset Nisan 17 Saturday night we come to sunset of the Nisan 14 which would have made Passover, the day of the crucifixion, a Wednesday. Nisan 15 was by definition the first day of Unleavened Bread. It too was a Sabbath, a high holy day of convocation. (See Lev. 23:6-7). Thus we have both Nisan 15 and Nisan 17 as Sabbaths during Passover Week in the passion year. The calendar shows the Feast of Firstfruits is the day immediately following the weekly (Saturday) sabbath in those days that follows Passover. It is always the first day of the week, a Sunday, a work day. Firstfruits is also the first day of the barley harvest and on this day the omer, the firstfruits of the barley harvest, are waived before the Lord. Firstfruits is also day#1 for "counting the fifty days of the omer". The seven days of the Feast of Unleavened Bread run from Nisan 15 to Nisan 22. The first and seventh are Sabbaths or High Days. The Leviticus 23 passage above clearly stated that the first and the seventh days of this feast were to be holy convocations in which not regular servile work was to be done. These two days of the feast were to be high holy days, rest days, or Sabbaths. Just like the regular weekly Sabbath these Sabbaths were to be days of rest from labor consecrated in the devotion to the Yehovah-God Almighty. Note also that as Jesus was in the belly of the great fish/whale for three days and three nights so was Jesus to be three days and three nights in the grave. So between the sunset of Passover on Nisan 14 that marks the beginning of Unleavened Bread, Nisan 15 we have a 72 hour time space before we get to and the sunset of the weekly 7th day Sabbath that marks the beginning of Firstfruits, Resurrection Day. So counting back 72 hours from the sunset that marked the beginning of Firstfruits we come to a Passover, Nisan 14 that in the Passion year must have been a Wednesday. This was the day when the sacrifice lambs were killed and the day of the crucifixion. The New Covenant fulfillment of the Feast of Unleavened Bread was seen in the Passover of Christ's passion. Jesus/Yeshua was buried in the earth during in the fading daylight of Passover on the 14th of Nisan just as Nisan 15 Unleavened Bread was to begin. He was hastily put in the tomb just before sunset just in time before the beginning of the Sabbath. This was not not the weekly Sabbath, but the Sabbath of the first day of the Feast of Unleavened Bread. This is an important fact to remember. Because this matter of the two Sabbaths of Passover is where the confusion has arisen. Our church tradition was set forth back in the Byzantine era in times past. And in labeling so called "Good Friday" as the day of the crucifixion on the day before the wrong Sabbath our traditions are clearly in error and off the mark. RIGHT THROUGH TO PENTECOST SUNDAY, 1st DAY OF THE WEEK. Firstfruits, as we have seen is an important Feast day. It comes in the week that follows on from Passover, (Nisan 14), the Sabbath of the first day of Unleavened Bread, (Nisan 15), and on to the sunset beginning of the day immediately following the seventh day weekly, (Saturday), Sabbath of Passover. So Firstfruits is always on the first day of the week, a Sunday. This reckoning of Firstfruits as following the weekly Sabbath and not the High Day Sabbath of Unleavened Bread was affirmed by the Sadducees. And they were correct. Because this was confirmed by Jesus in His fulfillment of those first three Spring Feasts. Firstfruits Resurrection Sunday is followed by the Feast of Pentecost 49 days later on day 50. This is the counting of the omer. So both Firstfruits and Pentecost come on Sundays. These are the two Feast days that do not come attached to any specific date on the Hebrew calendar. Firstfruits is the first day of the week following Passover. It is day #1 of the fifty days leading up to day #50, the Feast of Pentecost. See the following graphic showing the correct way of counting of the omer. This also happens to also be the way the omer should be counted according to the Sadducees. In this controversy it turned out that the Sadducees were right and the Pharisees were wrong. More on this shortly. So Firstfruits and Pentecost are alike in that they are not tagged to a specific date on the Hebrew calendar. The two feasts mark the beginning and end of the fifty days of the barley harvest. Just as the barley harvest ends the wheat harvest begins at Pentecost. So as we look at our calendar and that square block of seven weeks of seven days and count out the omer to one day beyond day #49 and get to day#50 we notice that they are laying out seven Sabbaths. And as we have shared. Both the Feast of Firstfruits, (day#1) and the Feast of Pentecost, (day #50), occur on the same day of the week. They both come on a Sunday. The Pharisees held a contrary view. They held the view that the counting of the omer began from Firstfruits but their Firstfruits day was reckoned by them as being the day following the Nisan 15 First Day of Unleavened Bread or Nisan 16. They considered that Firstfruits should be celebrated on the day after Unleavened Bread Sabbath and not the day following the weekly 7th day Sabbath of Passover. But as we see in the graphic below this was not confirmed by Jesus at all. Because as He fulfilled Unleavened Bread going into the grave on the eve of Unleavened Bread He was in the grave a full three days and three nights. But the morrow after that first day of Unleavened Bread only allows an elapsed time of 24 hours. Clearly He would not have been able to fulfill the Feast of Firstfruits if it was reckoned to be just 24 hours after He was laid in the grave. So in short, there is no way to accommodate those three days or 72 hours in the 24 hour hours between the beginning of Unleavened Bread and the beginning of a Firstfruits tagged as Nisan 16 on the morrow after the Sabbath of the First Day of Unleavened Bread. See the graphic below. THE SYMBOL OF LEAVEN AS WICKEDNESS. Leaven in the scriptures symbolizes sin. From the Christian perspective, the picture is quite clear. Jesus was the unleavened sinless Bread of Heaven. His life was one of sinless perfection. And His body was offered up to YHVH/God. He was the acceptable and perfect sacrifice for sin. The Feast of Unleavened Bread is also a calling to God's consecrated people. They are exhorted to journey on with their Saviour in a walk of holiness. In Christ we enter into a divine communion as we partake of the Unleavened Bread of God. Through Him we let go of our selfism to enter into a new state of being. We come into submission to YHVH/God in unpretentious sincerity and truth. 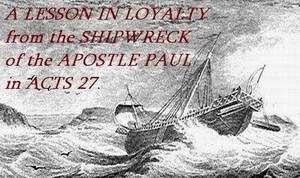 Here are the words of the Apostle Paul on the matter. since you truly are unleavened. When the Israelites left Egypt they left in haste. The bread they took with them was unleavened bread, baked in haste for a people who were on the move and preparing their victuals to travel. The Feast of Unleavened Bread commemorates the time when the Israelites left Egypt. Their next waypoint was the crossing at the Red Sea. They bread they took with them was not puffed up. It was baked without yeast. There simply was not time enough to allow the bread to rise. 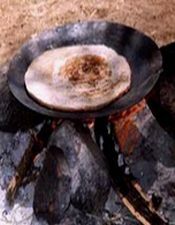 The Bread from Heaven was seen in the earlier history of Israel. The God of Israel provided manna in the wilderness for forty years. And the heavenly food of provision was spoken of by the prophets. The Bread of Heaven is seen repeatedly in the poetry of the Old Covenant. But during the Passover of the Passion year YHVH-God personally demonstrated something more. He defeated the gnostic powers, the trolls that block the Way between heaven and earth. The sinless Bread of Heaven was put in the grave. But His body did not see decay of corruption. He brought His heavenly perfection into this sinful world. And by His incorruptible Life He defeated the powers of darkness. He brought salvation to sinful men. Which You had sworn to give them." And given them of the bread of heaven." And satisfied them with the bread of heaven." The typology of Christ as the Bread of Heaven is in the Holy Scriptures. It is taught in the New Testament and in the very words of Jesus Himself. Jesus Himself said that He was the "Bread sent from Heaven". that one may eat of it and not die." which I shall give for the life of the world." The Pharisees, the religious establishment of the time, knew very well what Jesus was talking about. They were well versed in the typology of the Messiah as the Bread of Heaven. They knew when He referred to Himself as the Bread of Heaven that He was claiming to be the promised Messiah, the Holy One of Israel. That is why they took up stones to stone Him. Jesus was the final and perfect sacrifice for sin. 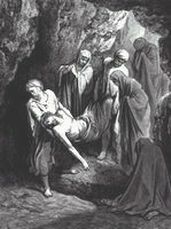 He was the Suffering Servant spoken of by the prophet Isaiah. His body, sinless, the unleavened Bread of Heaven, broken and humbled on the cross, was offered for our redemption. He was buried just before sunset on the eve of the Feast of Unleavened Bread. He was in the grave just in time for the 15th of Nisan. And so it was that Jesus Christ/Yeshua Hamashiach fulfilled the Feast of Unleavened Bread according to the scriptures.